We are sometimes asked why we offer cheap DNA paternity tests given the quality of the service we offer. easyDNA is an international provider of DNA testing services and therefore, due to the volume of tests we handle annually from all over the world, we are able to pass on the savings from such economies of scale back to the consumer. EasyDNA uses its own laboratories. We do not outsource our testing to somebody else. Many DNA testing companies find laboratories that will offer to test their samples for the cheapest price. The samples do not leave our company. The more the company grows the more we are able to offer competitively priced DNA paternity testing services. However, although we offer cheap paternity tests, this has no reflection on the quality both of our DNA testing as well as on the levels of customer service we offer each and every client. Our DNA paternity test starts from as little as $275 and you will have results in as little as 5 working days. All DNA tests use 21 genetic markers to obtain your DNA profile. All testing is performed by an ISO17025 accredited laboratory. All this guarantees the accuracy of our test results. See more about our paternity testing prices. EasyDNA is an international company with over 25 world wide offices. We are best price providers in every country we operate in and our low prices in no way reflect poor quality. In fact, the laboratories that will test your samples are regularly audited in order to keep their accreditations. 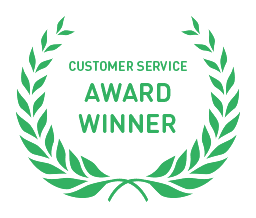 Our customer support team are fully trained to assist our clients professionally and efficiently – our customer care has even got us some prestigious awards.